Just like Ross and Rachel, my Fitbit and I are on a break. We’ve had a serious relationship since 2013. I first owned the flex, the older model with the 4 lights indicating your activity level. To see total number of steps I had to log in the app. Once logged in I might be motivated to move more if I was close to my 10,000 step goal or if a friend had more steps then me. As you can see in this picture it wasn’t too bulky. I had to replace it once during the 3 years I wore this model. To charge this model you had to remove the flex and charge it in a holder. Towards the end of its life this process was annoying. Last year a friend of mine offered me her Fitbit Charge at a reduced rate. I decided to try it out. This model is larger but much easier to charge. The cord plugged into the device. 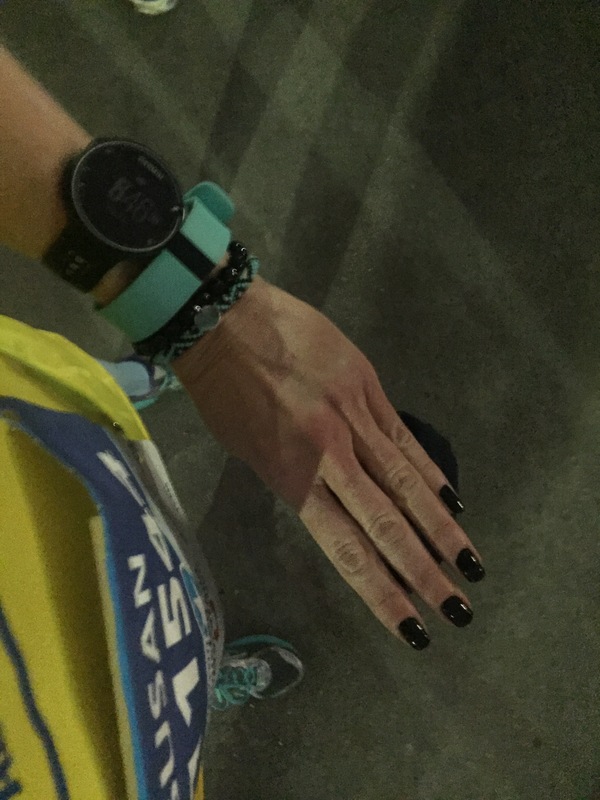 This is how my wrist was decorated for the Houston Marathon this past January. The HR was not waterproof like the Flex but it did withstand the downpour during my run. 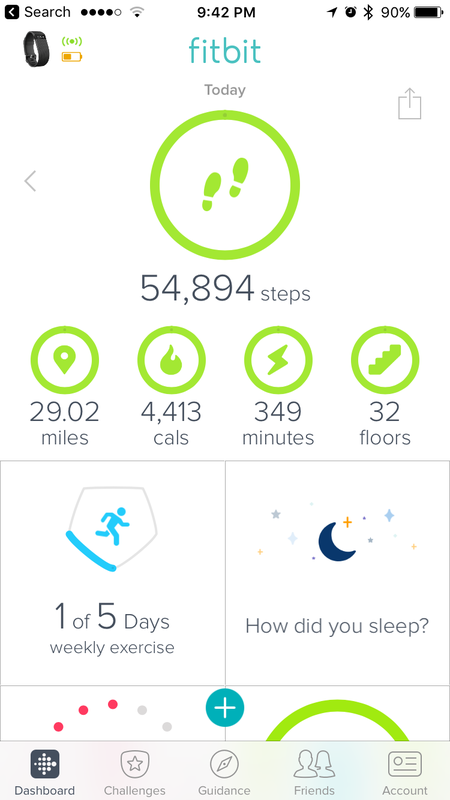 The HR displayed your steps, heart rate, the time, and the number of floors. When I was using it I didn’t log into the app as much. 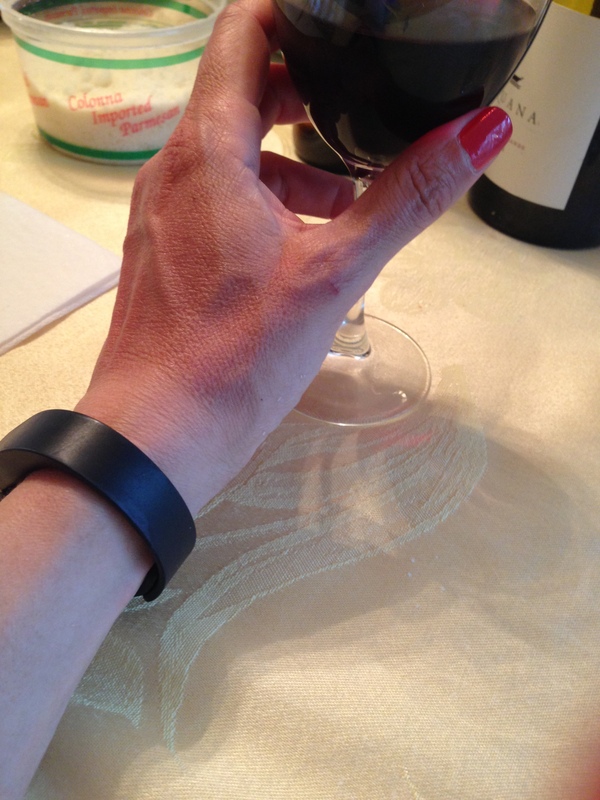 One reason I took a break from the Fitbit had to do with logging into the app. Fitbit sends you a weekly step report but if you don’t log into the app your step calculation is off. I stopped caring about how I was doing each week. 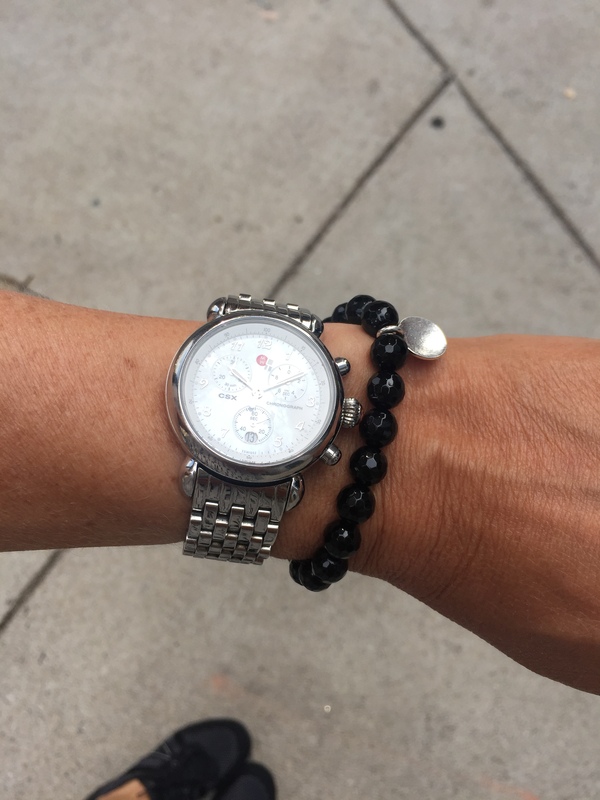 Another reason I decide to take a break from the Fitbit was because I missed wearing watches. I would wear a watch with the Flex but the HR had a clock and was too bulky to wear with a watch. I did not break up with my Fitbit, we are taking a break. I’m not cheating on it with another device. I’m just moving without recording my steps. There are days that I miss knowing how many steps I took but I earn the steps whether or not a device records them.